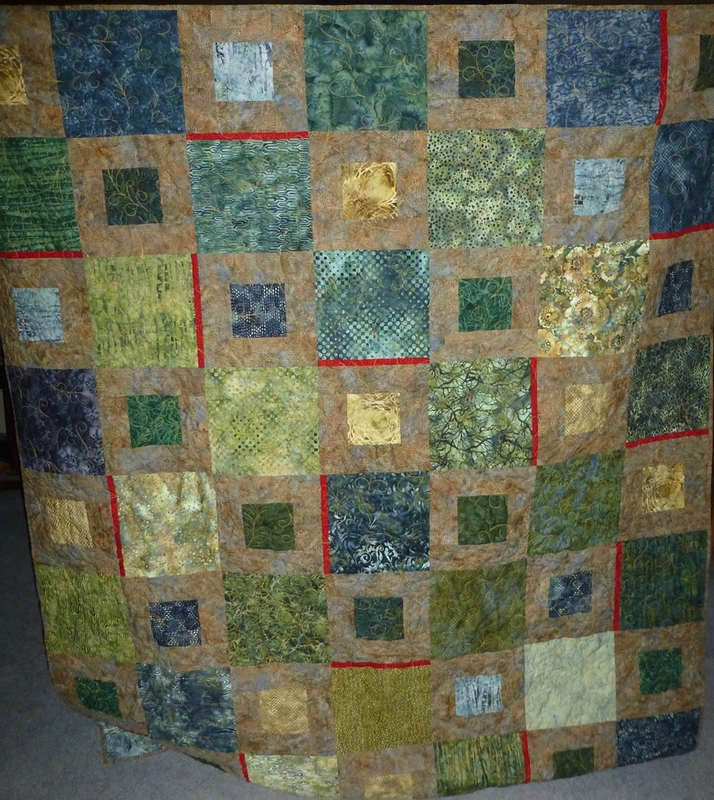 This quilt is a special order for her MIL for Christmas. Her suggestions were: greens, browns, nature-y, with a splash of red. I used a purchased pattern that I altered for the splash of red and love this so much I have 2 more planned in other colors to sell. A special label with all the family names. 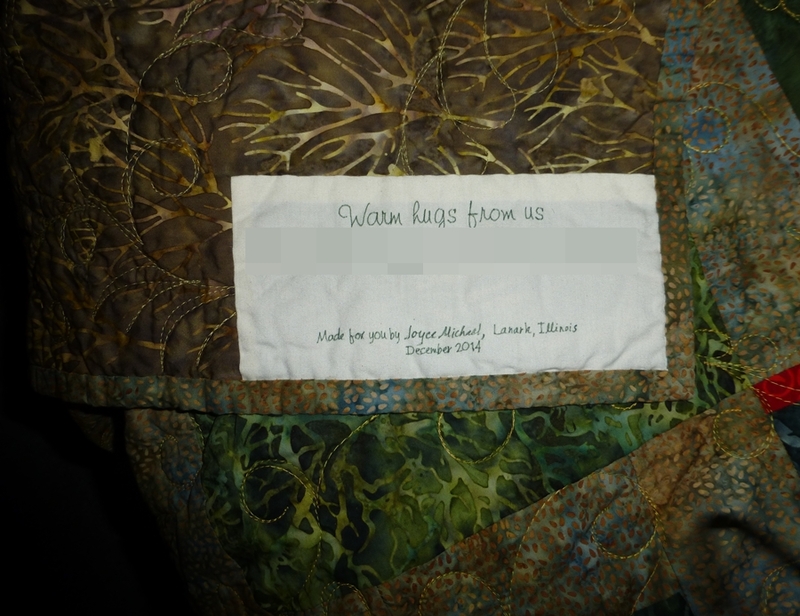 Close-up of the quilting. 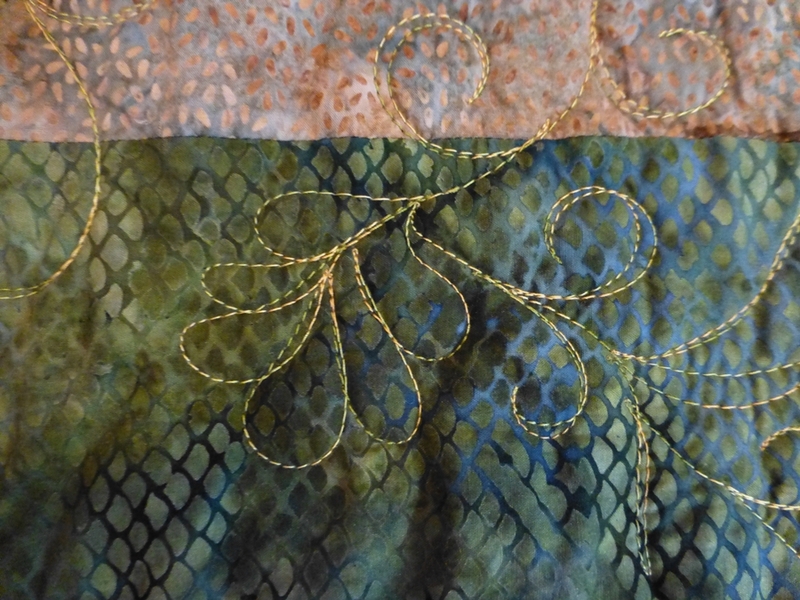 I just played with the machine and had leaves, feathers, and vine/swirls for the quilting.